When you're starting out as a graphic designer you usually have a lot of ideas you'd like to explore and just want to get going creating amazing work. The problem is you don't know how to use Photoshop yet so you may end up spending hours toiling away at some seemingly small task to get your design the way you want. It can be kind of frustrating because it feels like it should all just be so much easier to do. 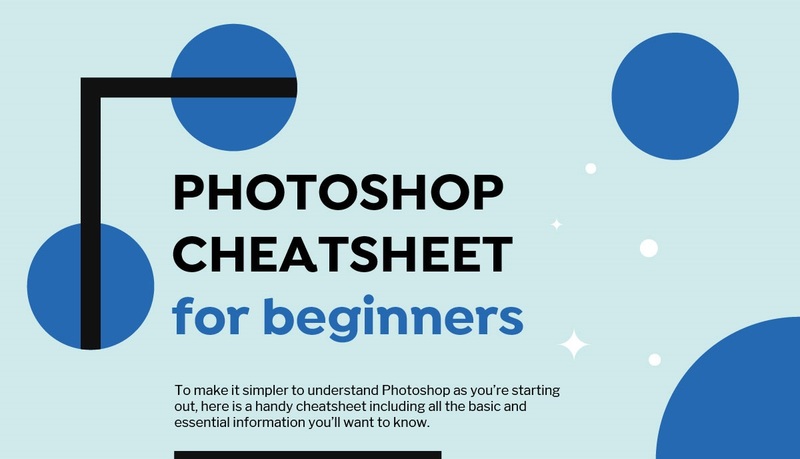 To make it simpler to understand Photoshop as you're starting out, here is a handy cheatsheet including all the basic and essential information you'll want to know. Soon enough, Photoshop will be second nature and part of your creative flow.